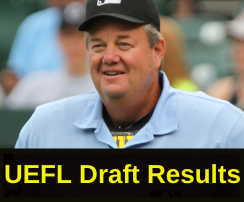 To celebrate #OpeningDay 2019, we present the results of the 2019 Umpire Ejection Fantasy League draft. Who was the most popular selection? Did Joe West go #1 in Crew Chief division again? Did Angel Hernandez pique more interest given all the lawsuit hubbub? We break down the numbers. 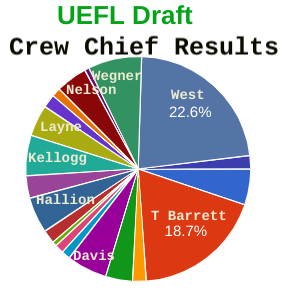 Sample Size: 150 users submitted selections for the 2019 UEFL draft. New or Returning: 44.5% of entrants are returning from 2018, 13.1% participated in the league before but not in 2018, and 42.5% of entrants are new to the UEFL. Jeff Kellogg, Gerry Davis: 5.8%.